Did you ever wonder who in world wears black nail polish in the summer time? Here I am. :D This time I’m guilty of choosing classical black base to go under glitter nail polish. It just felt like a combination to sooth my soul. 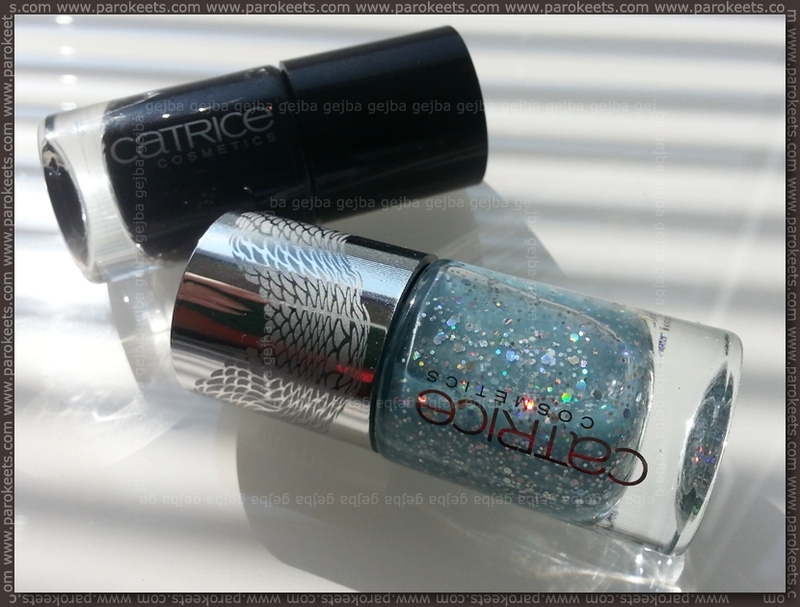 You already saw Catrice Mermaiday Mayday in video I did of my Le Grand Bleu collection haul. But I don’t really like it as single nail polish so layering it is. 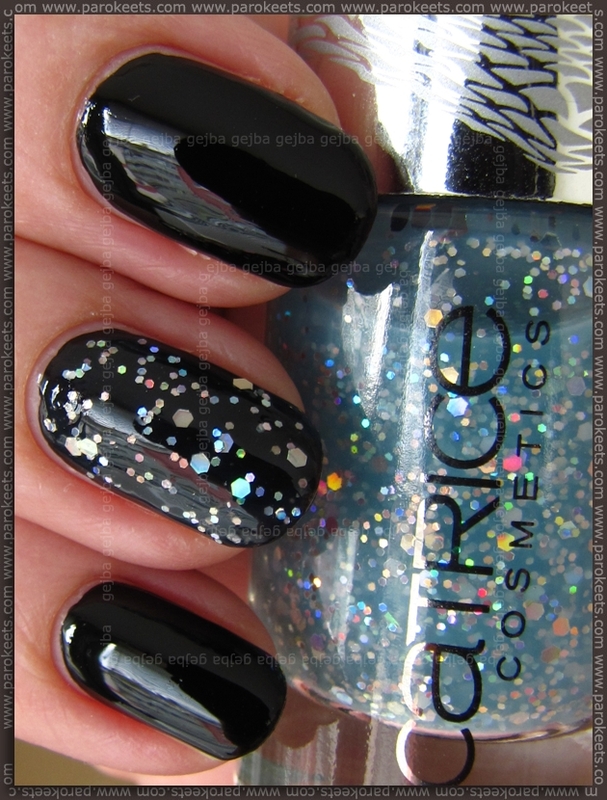 Catrice Black To The Routes seemed like a perfect match to bring out the glitter and holo gorgeousness of topper to the front. But I felt like wearing black nail polish, so I used glitter topper only on my accent finger. What is your verdict – like it or not? Previous articleColorful confetti top coat over white nail polish, anyone? I like the combination, but this glitter per se leaves me quite unimpressed. That black looks great though.